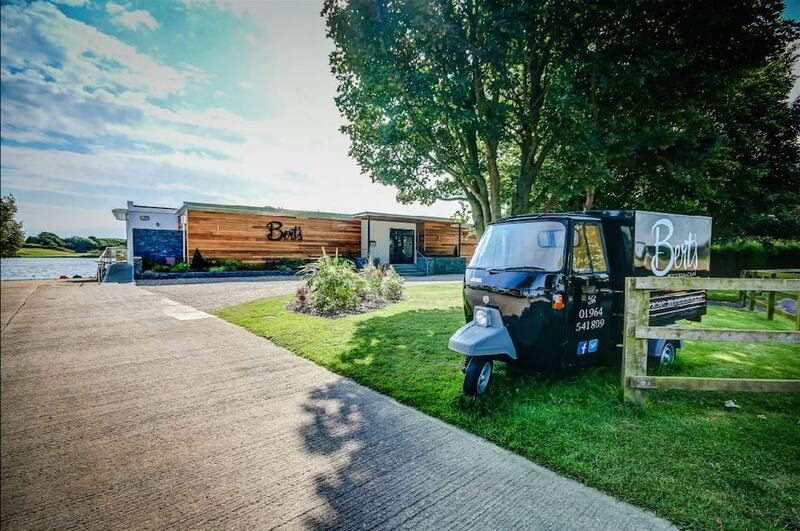 Bert's is a family run Pizzeria & Cafè situated on Dacre Lakeside Park, a picturesque and tranquil holiday park located in Brandesburton, East Yorkshire. The name Bert’s is in honour of great grandfather Robert Mewburn who in the early 1970’s created the lake which was formed following the extraction of sand and gravel from the site. The lake now serves as the beautiful and picturesque centrepiece to the Park. Construction of Bert’s began in early 2014 and was open for business by June. 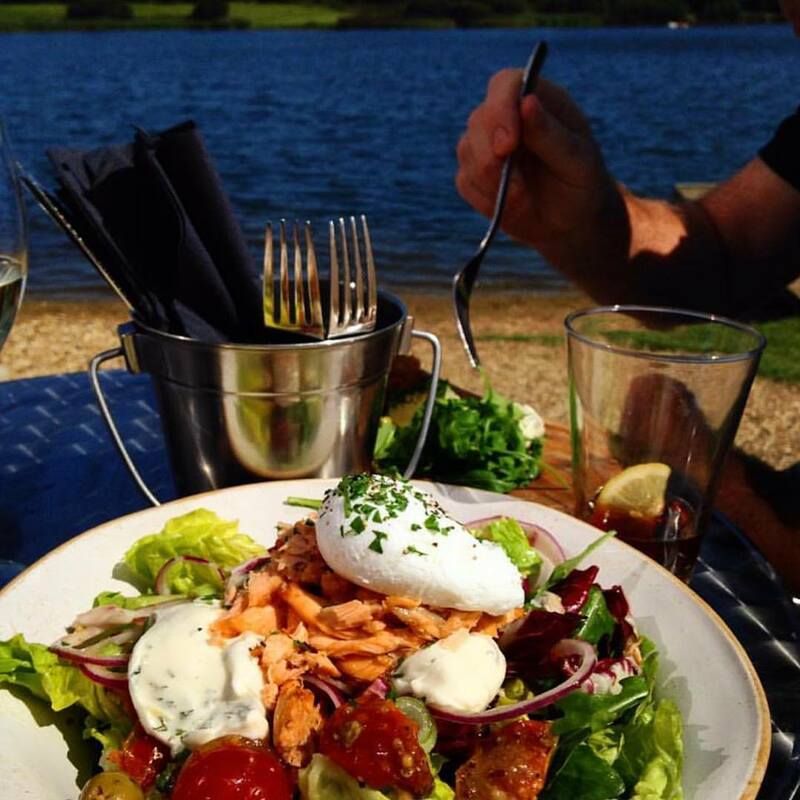 The restaurant is warm, welcoming and airy with a modern rustic interior and fully glazed wall overlooking Dacre Lake. Bert’s was created to share our passion and appreciation for all things culinary. We want to represent the best of Italian food with just a little twist of our own magic. Enjoy! We just had a garlic bread and some salt and pepper chips. The garlic bread was unfortunately pretty average but alright to eat. The chips however were terrible. Covered with loads of paprika powder with no taste just the bitterness of plain paprika. Really think you need to change the recipe for your salt and pepper chips. We've been a few times to Bert' s and always enjoyed our meal but we were really disappointed this time. We were waiting ages for our food, we had ordered a gluten free pizza for our coeliac son and this was the reason given for the delay. We ordered a side serving of triple cut chips and were gutted that we only got 6 or 7 chips for £5.00! Our sons pizza was undercooked as well but this was sorted out at the time. Unfortunately we won't be going back. 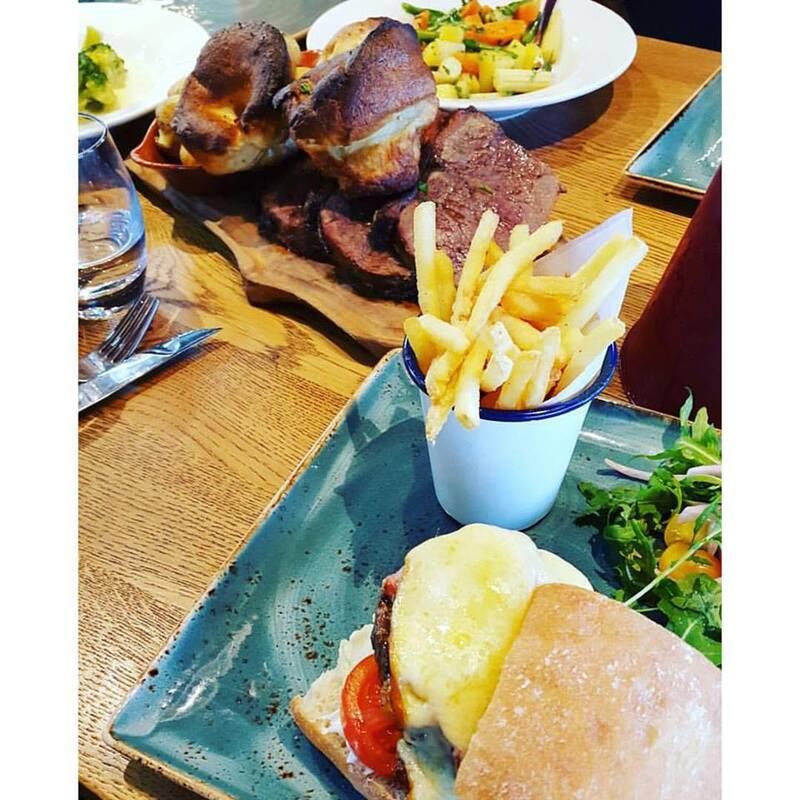 Whilst food was great and staff are really friendly, service was not great on this occasion despite it being early evening and not fully busy. We were seated straight away but waited quite some time before order was taken. I’m ordering a drink top up we waited 20 mins had to remind and then still waited a further 10 mins for the drink to arrive. This is costing you loss of revenue in the till as we daren’t order another drink due to how king the other has taken. Service was much better at breakfast on Saturday and Sunday mornings although menu said sautéed potatoes and we got hash browns and very small ramekin of beans on the Sunday not the same size as the portion on Saturday. We keep coming back because it’s always a lovely experience. From the greeting on arrival to the farewells after a great meal, we always go away happy. It really saddens me to say how disappointed we were at this visit. 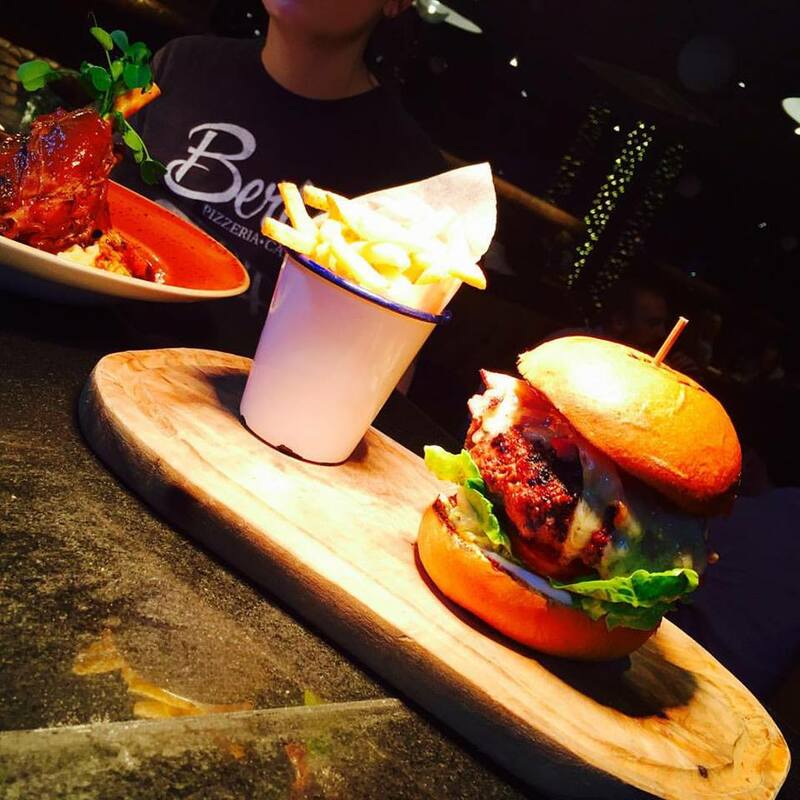 Berts used to be one of our favourite places to eat out, and being local to the village it was perfectly sited on our doorstep. Reading your website to say you had updated your menu was exciting, but upon reality was a massive let down. Our meal started well with being greeted in a very welcoming way, and initially the waiting staff were brilliant. However shortly after ordering our food, it went down hill quickly. The service was terrible, other tables that arrived later than us received their food quicker (and we were only a table for 2). The baked camembert starter was lovely, but we weren't given any plates each, just the board that the starter was served on. So, bits of food went everywhere. 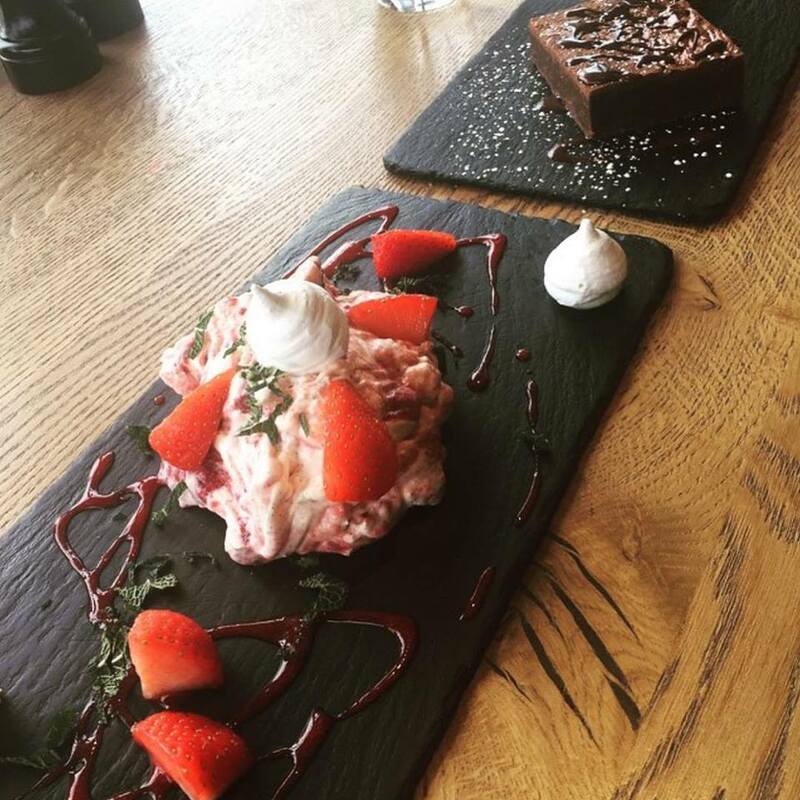 Can you not spare enough washing up time to give your diners a plate to eat off? Then unforuntately the main course was just terrible. My husband ordered the chicken panko that cost £15 but looked like something I could have ordered from Weatherpoons for a fiver, and did not taste much better either. He asked for no salad which was his choice, but there really was no presentation or effort put in at all. I ordered the chicken and chorizo burger which on the menu states comes with salad, but there was not any on my plate. When I asked the waitress where the salad was she just shrugged her shoulders and said it doesn't come with any. I know you have a new menu, but if neither your chefs of waiting staff are aware of what is actually advertised it seems quite a pointless exercise. So my plate consisted of some very large chunky tasteless chips and the driest chicken burger I have ever had that cost £10. So  £25 for two of the worst main courses we have ever had, from the place that we used to love so very much. This really does sadden me, as both my husband and I are not in any hurry at all to return to your restaurant. What changed? What went wrong? When did you change into this money orientated, lack of care establishment? Absolutely gorgeous food with a beautiful view and the staff were so lovely ! Fantastic can’t wait to go back ! Great food, beautiful location, friendly staff. Easily accessible too. We were waiting for our meal for nearly an hour with no explanation. Food was lovely when it arrived but should not have to wait so long with no explanation or apology. It seemed as though most people in the restaurant were also waiting a long time. If I had been told on arrival I would not mind or if some offer of nibbles / a drink whilst waiting again it would show a care about your customers. It would make me not want to visit again. We waited over 2 hours for our meal and had small children (5 and 8) with us so it was 8.30pm when we finally got it. Everyone was passed it and unhappy with such a wait. Our waitress was fab and really apologetic and offered us free drinks. When food finally came it was mediocre. I had gluten free pizza which was too heavy to eat more than half. One of our party found what looked like either a piece of plastic or undesolved gelatine in their cheesecake - gross. The cost of the cheesecake was refunded, we were given a round of drinks and due my saying that it hadn’t been a great experience when asked, the lovely waitress battled for a further 20% off (at her own insistence). However we still paid just short of £100 for a rubbish experience that was a huge let down. We were celebrating a special birthday and Bert’s at Brandesburton was a venue I’d wanted to visit for a long time. Setting, building and waitress great, food and experience poor. Won’t be returning. Only half of tables full and it was over 30 minutes after ordering that a waitress appeared and asked us if we had had our garlic bread yet, which we hadn't. She then went and argued with the kitchen staff and appeared with 2 plates and said ‘you can have those whilst the kitchen staff argue over whether you have had your starter’. The garlic bread turned up 5 minutes later and was fine. My wife was just on her last mouthful when the plates were removed & several minutes after the main tagliatelle dishes arrived. The chicken in my chicken alfredo was only luke-warm and when I tried to speak to the waitress about it she walked away and I had to call her back. I asked if it had been under the hot lamp whilst we had our late garlic bread, but she said it hadn’t. When the bill arrived, the wine was £1 more than on the downloadable menu and the wine list but we just wanted to get out so did not argue. Very unprofessional service and disappointing experience. Food was very good, and knowledge and care for gluten free was excellent. We felt rushed the entire evening despite their being plenty of tables and no wait. Seemed the staff was hoping to finish early, which I can understand but shouldn’t sense as a customer. Otherwise, the service was good. We had birthday lunch on the 7th April. It was nice to see a change of menu. Everything we had was brilliant. My husband said his gammon was the best he'd ever had!!. Hope the menu is the same when we come again on good Friday. Very nice place and atmosphere. A hidden gem. This is our 3rd visit. Once our food came, we waited a extra 15mins for my 1 year olds meal which was chicken. They had obviously forgot to cook it and turned the oven up and cook as quick as they could, as when it came the outside was well done and the middle of the chicken was under cooked. I took it back to the kitchen myself and told them he offered a replacement and I said dont bother we have waited long enough. He had been sharing my meal while he was waiting. Also my daughters pasta off the CHILDRENS menu was very spicy and she couldn't eat it, childrens meals r normally served pretty plain. I didnt end up paying for there meals. We wont be returning again. Very friendly and helpful staff, lovely atmosphere and views. Food was delicious, we will definitely return. Lovely again and great, friendly service. Wine choices a bit limited but doesn’t spoil anything. Both our drinks and the table next to us took over 20 minutes to arrive. Food was getting on to be a long wait too. There were loads of dirty glasses sat on the bar which didn’t give a good first impression. The food however was very tasty and the prices were good too. Just the service needs improving! Fantastic food and service. Never had a bad experience. Brilliant service, very welcoming. Lovely food.